Seriously: those days and days and DAYS of rain, they were starting to wear thin. It's gonna feel awfully good to get back out there and soak up the sun from two wheels. Kristy is leading out a Chalk Hill ride, starting out of Esposti Park (at Old Redwood Hwy and Shiloh) on Saturday. Meet at 9:30am. RSVPs appreciated. 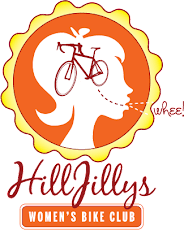 Chalk Hill does have a bit of climbing but, like all HillJillys rides, 'tis a no-drop ride: all are welcome, and no one left behind!